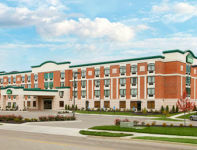 This Beavercreek, Ohio hotel has spacious guest rooms that will make you feel at home with features like kitchens that include refrigerators, microwaves, two-burner cooktops and coffee makers. Select rooms also have sofa sleepers. Handicap accessible and non-smoking rooms can be requested. Whether traveling for business or pleasure, make the Suburban Extended Stay Dayton-WP AFB hotel in Beavercreek, Ohio your home away from home when visiting the area. We are one of the area’s best extended stay hotels. Book a room today. â€¢ Entire cottage just for you! 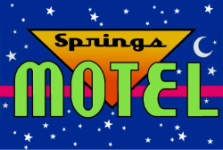 Small 1950’s roadside motel, clean & cozy with friendly rates. 12 clean & cozy rooms on the edge of wonderful Yellow Springs. Bonfire circle, playground, gazebo. Free long distance, WiFi, continental breakfast. All rooms NON SMOKING! Hairdryers, refrigerators, clock radios, cable TV, a/c and more. Locally owned and operated since 2002. Very small but wonderfully appointed rooms. Only two pet friendly rooms. Rent the whole motel option available! Victoria’s Bed and Breakfast was built in 1881 by John Allen, a Xenia banker and member of the Ohio House of Representatives. The house has five air-conditioned bedrooms to rent. It is an Eastlake style Victorian mansion with high ceilings, original wood trim, 25 rooms, 30 chandeliers, and 9 fireplace mantles. Each quest room has a private bath, color television with cable, and a window air conditioner. 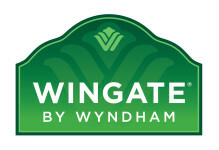 Wingate by Wyndham Dayton – Fairborn hotel near Wright Patterson Air Force Base is conveniently located off Interstate 675. Start each morning with our free hot breakfast buffet and a free daily newspaper before you head out for the day. We offer thoughtful amenities like free Wi-Fi Internet access, 32-inch flat-screen TVs, fitness center, indoor heated pool and whirlpool. If you are traveling for work, you will appreciate our proximity to area businesses like Boeing, Ball Aerospace, Northrop Grumman, Raytheon, Lockheed Martin, Honeywell, Kodak and GE / Unison. Handicapped-accessible and non-smoking rooms are available. Book your room online today.